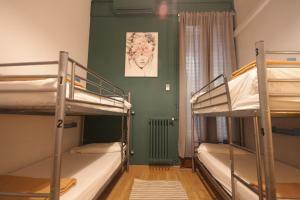 This modern hostel is located 100 metres from Barcelona’s Passeig de Gracia. 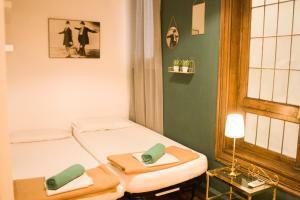 Set in a restored 19th century building, it offers free Wi-Fi and an outdoor terrace, 2 minutes’ walk from Gaudi’s Casa Batlló. 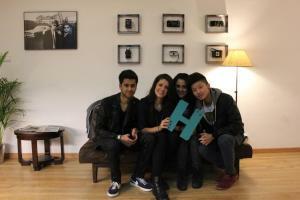 The Hipstel offers bright, air-conditioned dormitories or private rooms. 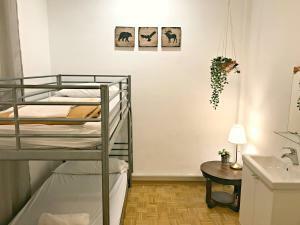 Each includes free individual lockers and sheets, while towels can be rented. Bathrooms are either private or shared. 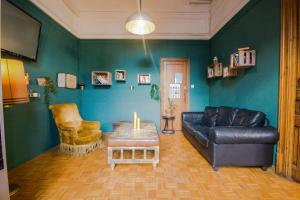 The property has a kitchen equipped with a microwave and a fridge only, as well as an internet station and TV lounge with DVD player and board games. You can get tourist information or buy tickets to discos at the 24-hour reception. 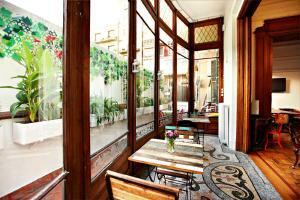 La Pedrera is 400 metres away and the Sagrada Familia Basilica is 15 minutes’ walk away. 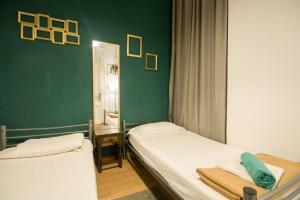 The Hipstel is 250 metres from Passeig de Gracia Metro and Train Station, connecting you with Barcelona El Prat Airport in around 30 minutes. 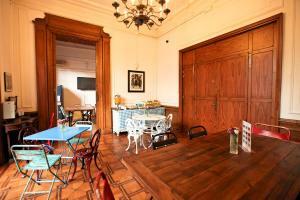 Plaza Catalunya is 10 minutes’ walk away. Please let The Hipstel know your expected arrival time in advance. You can use the Special Requests box when booking or contact the property. Please note that children under 16 years old are not allowed in the property. An ID will be requested as a deposit for the keycard upon arrival. This will be returned upon check out. Please note, the remaining amount of the reservation will be charged upon arrival. 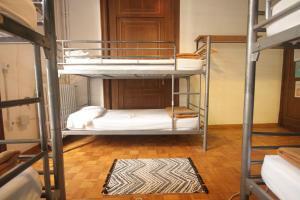 For reservations of 2 or more beds in dormitory rooms, the hostel will try to place these on the same room. Please note that the placement is subjected to availability at the time of check in. 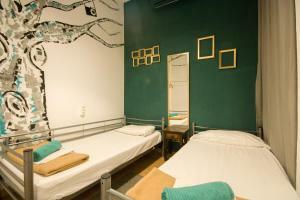 Please note, room photos may not be identical representations of the room you book due to the variation of size and location within the hostel. 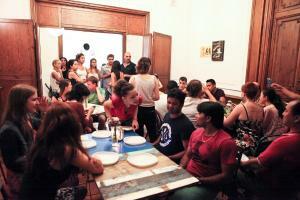 Please note when booking more than 12 people, different policies and conditions may apply. 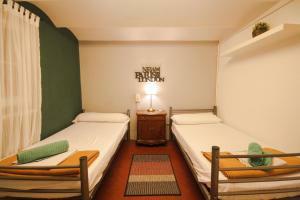 This bright, air-conditioned dormitory includes free individual lockers and sheets, while bathrooms are shared and towels can be rented. 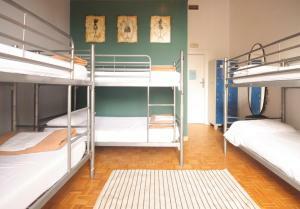 Rate: € 7.78 ... € 277.33; select dates below to get current rates. 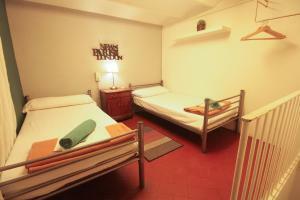 This bright, air-conditioned room includes 1 double and 1 single bed, free individual lockers and sheets. 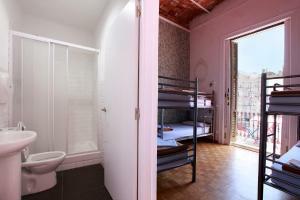 Bathrooms are shared and towels can be rented. 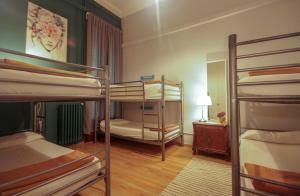 This bright, air-conditioned room includes 1 double bed, free individual lockers and sheets. Bathrooms are shared and towels can be rented. 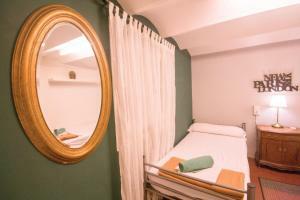 This air-conditioned room includes free sheets and a locker. The bathroom is shared and towels can be rented. 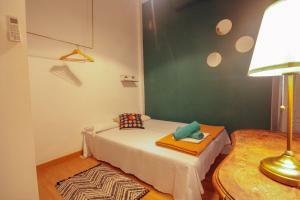 This bright, air-conditioned room includes 2 single beds with free sheets. 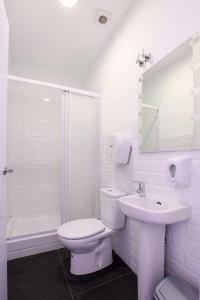 Bathrooms are shared and towels can be rented. 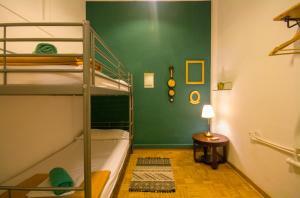 This bed in dormitory comes with 1 bunk bed and shared bathroom facilities. 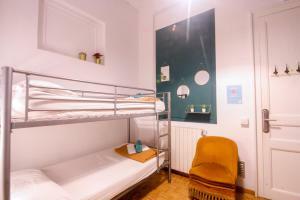 Bed linen is included and towels can be rented at an extra cost. 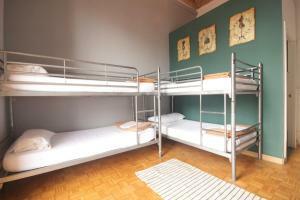 Rate: € 7.58 ... € 251.50; select dates below to get current rates. 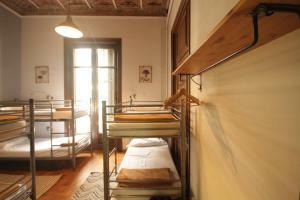 This room includes bed linen, heating and air conditioning.